 ST. LOUIS AND COLUMBIA, MO – October 10, 2016 – Susan G. Komen® Missouri is accepting grant applications for its upcoming community-based grant awards cycle, which runs April 1, 2017, through March 31, 2018. Komen Missouri’s community grants program supports non-profit organizations and governmental institutions in its 38-county Missouri/Illinois service area that provide innovative, non-duplicative, evidence-based breast health/breast cancer screening, treatment, education and support programs targeting services not otherwise available to medically underserved populations. All grant applications must meet eligibility requirements and be completed and submitted through the Komen Grants e-Management System (GeMS). Applications are due by 5 p.m. on Dec. 5, 2016. Grant awards are for one year (April 1-March 31). Organizations receiving Komen Missouri grant funding must re-apply each year. Komen Missouri funding is limited and awarded through a competitive process. All grant applications meeting the eligibility requirements are subjected to rigorous review by an independent panel of local professionals from varied backgrounds, including medicine, business, public health, and breast cancer survivors. This panel is responsible for making the final decisions regarding grant awards. Support evidence-based programs that decrease or remove barriers to breast cancer screening, diagnosis and treatment. Example programs include mobile mammography, after-hours appointments/expanded clinic hours and transportation assistance. Priority will be given to applicants that demonstrate benefit to one or more of the following communities: Audrain County, Camden County, Chariton County, Morgan County, Perry County, St. Louis City, and St. Louis County in Missouri and St. Clair County in Illinois. Support evidence-based patient navigation and/or care coordination programs that improve navigation into and through the breast cancer continuum of care to reduce the late-stage diagnosis rate among Black/African-American women in St. Louis City/County, MO and St. Clair County, IL. Support programs that provide free or low-cost breast cancer treatment services for women residing in Audrain, Camden, Chariton and Morgan counties in Missouri. Support programs that will provide free or low-cost breast cancer screening and diagnostic services for women that would otherwise be eligible for Missouri’s Show Me Healthy Women program. Komen Missouri’s community grants program is made possible through the community’s generous support of the Susan G. Komen Greater St. Louis Race for the Cure®, Komen Mid-Missouri Race for the Cure®, other events held throughout the year, individual donations and the support of corporate sponsors. In 2016, Komen Missouri is funding more than $1.3 million to seven local programs and global breast cancer research. Komen Missouri has invested $40 million in the fight against breast cancer. Since 1999, Komen Missouri has awarded $30 million in grants to local organizations that deliver life-saving breast health services to those who may not otherwise have access due to low income, lack of insurance or other barriers. Komen Missouri also has contributed more than $10 million to breast cancer research since 1999. At the same time, more than $20 million raised here and nationwide has come back to Missouri facilities to fund breast cancer research. For more information about community grants eligibility requirements and the application process, please visit www.komenmissouri.org or call 314.569.3900 or 573.445.1905. Susan G. Komen Missouri is an independent, local nonprofit organization dedicated to fighting breast cancer year-round. Komen Missouri’s mission is to save lives by meeting the most critical needs in our communities and investing in breakthrough reasearch to prevent and cure breast cancer. Komen Missouri is dedicated to meeting the breast health needs of the women, men and families in its 38-county Missouri/Illinois service area. Seventy-five percent of the organization’s net proceeds stays in the local community to fund breast cancer screening, breast health education and patient navigation and support services. The remaining 25 percent of net proceeds funds global, cutting-edge breast cancer research. Visit www.komenmissouri.org. Call 314.569.3900 (Greater St. Louis office) or 573.445.1905 (Mid-Missouri office). Connect with Komen Missouri on Facebook and Twitter.